BERNARD MCNAMARA, THE developer behind the controversial Longboat Quay project in Dublin, is apparently unable to get his hands on lots of important old paperwork. In a terse, three-page written response giving short shrift to the government’s €4 million banking inquiry, the Celtic Tiger builder repeatedly said he no longer had details about the now-defunct companies he ran during the boom times. “Any company in which I had an involvement during the relevant period has ceased trading, been sold or been dissolved so I am not in a position to provide the information sought in any detail,” McNamara said. He also called into question the banking inquiry’s right to probe the performance of the companies he ran or their “modus operandi” before the property bubble burst. McNamara, who owed more than €1 billion to bad bank Nama after the financial collapse, went bankrupt in the UK in 2012. He was behind a string of huge purchases in south Dublin at the peak of the Celtic Tiger bubble as commercial property prices in the capital became among the highest in the world. The developer was released from bankruptcy early last year under the UK’s more-lenient insolvency laws and has been back at work in Dublin, building the “LXV” office complex in a project funded by billionaire tycoon Denis O’Brien. Most recently, McNamara has been back in the news after it was revealed the Longboat Quay apartments he built in Dublin needed €4.75 million in repairs to bring them up to safety standards. Last week Nama CEO Brendan McDonough told the Oireachtas Public Accounts Committee the state agency had already spent “millions of euro” fixing another major block McNamara built. 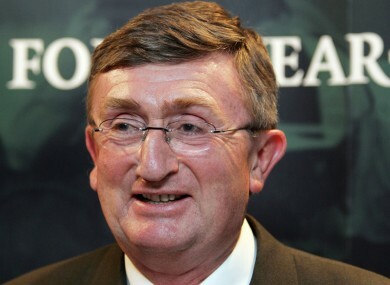 However when asked by the banking inquiry for a profile of his business, its turnover and scale of activity between 2001 and 2008, McNamara replied: “This information is not available to me”. He gave the same response when asked for an outline of his business’s debts to each lender at the end of September 2008, its debts by region and several other questions. Email “Doesn't look like Bernard McNamara will be giving ANYONE his number”. Feedback on “Doesn't look like Bernard McNamara will be giving ANYONE his number”.